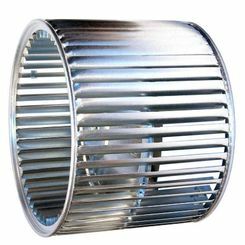 Blowers and motors are typically used in heating applications to distribute heat to warm up the house, like in boilers, for example. 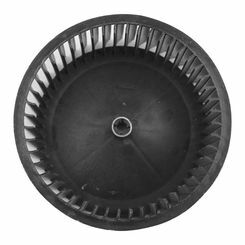 At PlumbersStock we carry HVAC blower wheel replacements at wholesale prices, so you can get your central air system back up and running in no time. 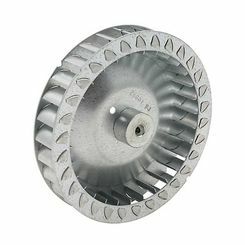 Contact our customer support team if have trouble finding the best blower wheel for your home improvement project. 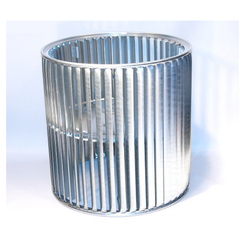 Save on HVAC replacement parts with the heating and cooling experts at PlumbersStock. 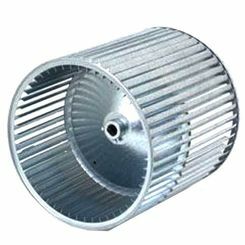 What Is a Blower Wheel? 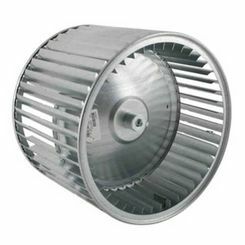 Your heating, ventilation, and air conditioning system would not be able to work efficiently without the use of a blower. 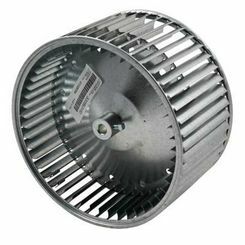 Blowers and fans are used to circulate the air through these HVAC systems and as such are an essential part of the air handling systems that draw fresh air into the building or home. 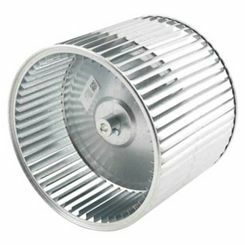 Blowers may be mounted to an exterior wall if being used for ventilation, or within a system of ductwork. 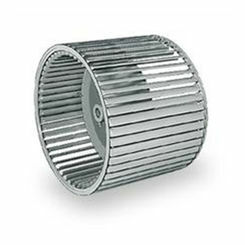 Blowers are often powered by electricity to create unidirectional airflow for air that is pre-heated or cooled. 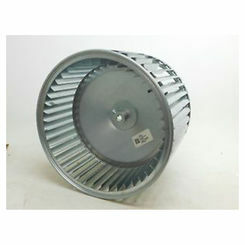 With that in mind, a blower wheel is one of the sub-parts of a blower device. 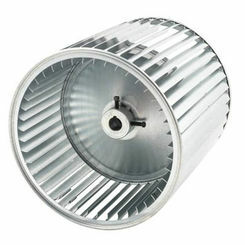 The blower wheel is the tough, outer covering that protects the center disc and fan system. 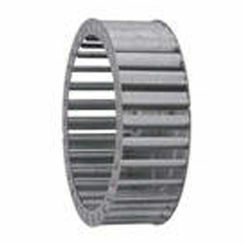 Oftentimes blower wheels will be made of cold rolled galvanized steel and be rust and corrosion-resistant. 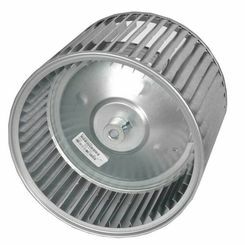 This construction means you’ll have powerful, durable performance for years to come. 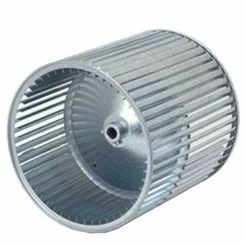 Additionally, many blower wheels are rated for a maximum temperature of 200 degrees Fahrenheit but are best used for applications that don’t exceed 130 degrees Fahrenheit. 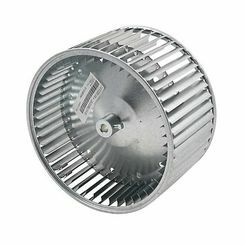 If you need a way to move high volumes of heated or cooled air to a specific area, having a blower is the best way to do it. 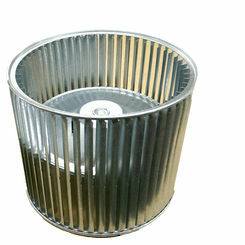 A blower will circulate high volumes of air with low vibration and noise so you can sit back and enjoy your HVAC unit. However, if your blower wheel has cracked or become clogged by dirt or grime, your blower system will be less efficient which in turn will make your unit less efficient. We offer the best replacement blower wheels for the lowest wholesale prices. Your blower is one of those systems within your HVAC unit that helps provide controlled, directional airflow. 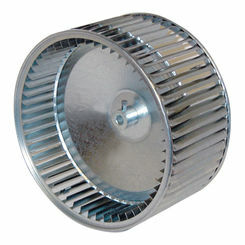 Like other components, your blower can do its job for months without needing to be checked. Even so, you should attempt to do regular maintenance checks on the big components of your HVAC unit, including your blower. With regular inspections and a little TLC, you can make all the difference in preventing many problems with your blower. 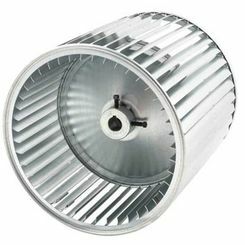 Clean the Fan Blades – The fan blades are the part of the blower that will take the biggest hit because they are constantly moving to circulate air. Because of this, they’ll be the ones to get hit with dirt, dust, and grime the most. Using an old toothbrush you can quickly remove any contaminants from the blades. 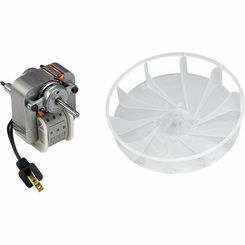 Check the Belt – Within your blower you’ll have a belt that connects the fan to the motor. This belt runs nearly 24/7 during the heating season so it’s important that you inspect it for abnormal signs of wear and tear. Check for cracks or frayed edges as indicators that your belt needs to be replaced. 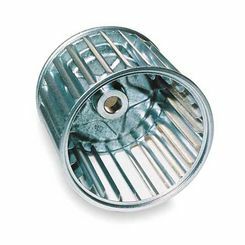 Lubricate the Motor – All motors require lubrication to run smoothly without overheating. Your blower motor is no different. 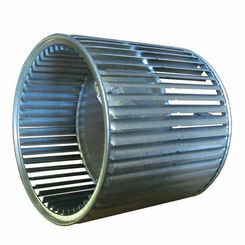 Most blower motors have oil ports that are used to lubricate the inner workings. Simply add a few drops of dedicated bearing oil and you’re set. Save on the best manufacturers in the business. Shop with the HVAC experts and take advantage of the lowest prices on the web. If you have any trouble finding the right parts, contact our team via chat, e-mail, or telephone.